Winning the Weight Loss War with my Vorpal Sword and Kuk Sool Won! Anyone who has had weight to lose knows that it’s a battle to choose to face every day. The easier option is to turn tail before the fight even begins – to announce defeat to a relentless opponent that is far easier to submit to than to hold your ground against. When I had my first thoughts of writing about my excessive weight, about three years ago, I wrote a blog post titled “Factiously Fat-o-wacking to the day of Fit: The beginning of a better end.” The end of course being a more literal reference to the size of my generous posterior. It begins with the end in mind..(and yes I have also read Stephen Covey) this particular end was much larger than it needed to be and in need of some serious toning. So yes I am a fan of Tim Burton’s Alice in Wonderland movie (and of course Lewis Carroll’s book) and enjoyed the fabulously vigorous Futterwacken by the Mad Hatter on the Frabjous day. While I have no ambitions to have my head spinning at the top of my neck, giving my body a thorough workout to get it into better shape was definitely on the cards. My fat is my Jabberwock, a relentless scary creature hanging around and although I have on a few occasions managed to slay it with the Vorpal sword of dieting and exercise, it keeps getting reincarnated. So my journeys down this Fat-o-wacking path had been largely unsuccessful but knowing that the creature could be slain kept my hopes alive. I had been decently sized up until my late twenties when a series of unfortunate events drove me to emotional eating. Everyone has their poison and mine became food. Drink me! Eat me! Oh yes I will thank you very much for asking. I knew though that with each tasty morsel I was feeding my adipose tissue. My adipocytes were sucking in fat at a furious rate due to the lovely snacks I was imbibing. They were in a state of hypertrophy and getting bigger by the day. What I did not know was that they were heading for hyperplasia. If only I had known I should stop before reaching that tipping point. Just like those pesky Gremlins when they get wet – fat cells in the right conditions begin to multiply and once they have they never die! It’s like the scariest horror movie ever. You can’t kill them and they are always hungry. They are just waiting for the next dose of fat to feed themselves. The only way to control them is to not give them what they want. Weight loss makes them shrink but they hide in the dark always alert and waiting to grow again. It’s a war where the enemy is always watchful. Knowing that being overweight means that I have in the region of 75 billion fat cells is a very sobering thought – I picture them like regiments of fat globby creatures with lots of little mouths waiting to be fed. Feed me! Feed me! The way to a better perkier end is therefore the path to emaciated fat cells on the Frabjous day that I intended to call ‘The day of Fit’. My Kuk Sool Won martial arts journey however has taught me that there is no specific day just like there is no spoon. 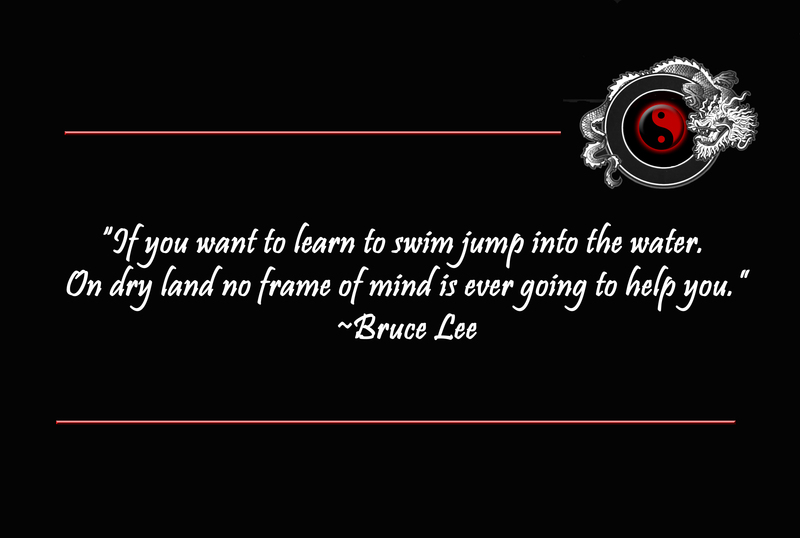 There is only more practice, more training, the next martial arts goal. My mindset needed a radical makeover and I needed to think profoundly differently about exercise and how I approached it. Friday Kuk Sool Won Sparring Class at Kuk Sool Won of Dublin with my training buddy Vineela who is helping to make me tough! My focus changed from the Jabberwock slaying to finding an activity that connected with both my physical and spiritual nature and I found that in the dojang (even though I still think owning a Vorpal sword would be pretty cool)! The numbers on the scale are no longer a fixation and instead challenging myself to achieve new fitness targets is. Going to Kuk Sool Won class thrice a week does not feel like a chore, it feels like an opportunity, mainly to prove to myself that with the correct focus so much more is possible. I am doing things now that I didn’t think this middle-aged body of mine could handle and because it’s thoroughly enjoyable and there is great camaraderie with my fellow students at the Kuk Sool Won of Dublin school, the Jabberwock has gone into hiding with it’s tail between it’s legs. My super friendly and highly skilled instructors have also been very encouraging and keep me motivated. When I get bruises from my training buddy Vineela during sparring she grins at me like the Cheshire Cat and tells me she is making me stronger. The morning after a tough class with Ma’am Shagasi last week, Ramya my other training buddy, sent me a message to say that she was impressed with my stamina. She in turn has motivated me to do more push-ups. Training together is a circle of growth for us all. I am steadily winning the weight loss war and just like Alice discovered Wonderland, with Kuk Sool Won a whole new world of physical and mental accomplishment beckons. Sparring – your hands are weapons too! We can’t see into the future, as Pocahontas says, we don’t know what awaits us just around the river bend. Sometimes a day can unexpectedly change into something completely unanticipated. When I awoke on Friday morning I had no idea that by that Friday evening I would be attending my first sparring class! My Kuk Sool Won Master told me that he had gone to collect more sparring gear and had a set for me too! Sparring class is the closest environment to being in a real altercation, without actually fighting. It has the specific purpose of allowing you to sharpen your skills and practice things like controlling distance, balance, timing, speed, agility and focus in addition to being a fantastic cardiovascular and muscle endurance training session. Friday is usually the day that my kids go sparring. My son took to it a lot more readily than my daughter did who not surprisingly was a bit fearful. Nobody likes to intentionally put themselves in a situation where they could get hurt.The clincher for her though was when she discovered that she could get pink sparring gear. Anything pink in her book is a winner. So contrary to the customary laid back Friday evenings that we usually have after a busy week – I was off to class again. 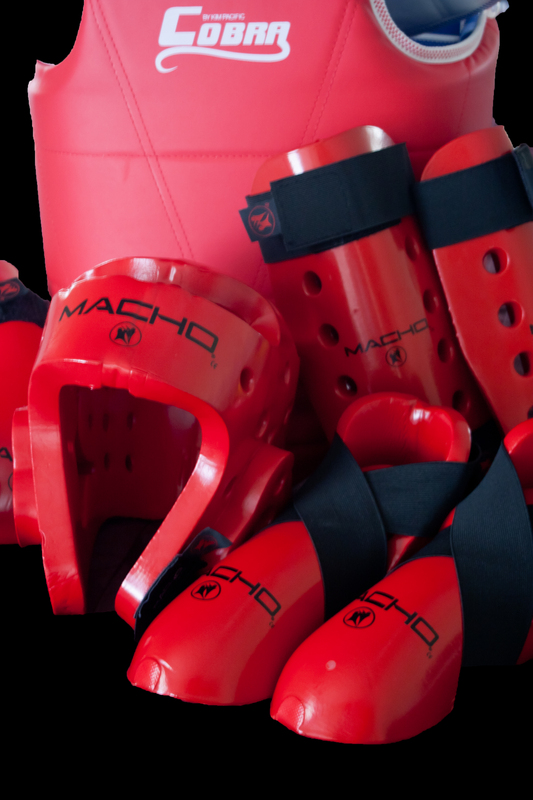 My sparring gear was red. I wasn’t initially sure whether the red or black would be better. Red for power or black for wisdom – a combination of those would be great! After donning the gear I saw myself in the mirror – my first thought was of the Michelin man! We were reminded that the objective was not to cause injury. Control and etiquette were prerequisites for this engagement. Points were scored by light contact in the designated zones on the chest guard, on the sides of the helmet and above the belt location. Master Saidi suggested that we think of sparring class like creating a book. In the usual class we learn forms and techniques which are like letters and words. In a sparring situation we learn to put the letters together and make sentences with the words creating a coherent story and producing our own book. Forms and techniques are woven together to create a tapestry of skills that can be applied in any conflict situation. After the first round I already resembled a very ripe tomato in a rain shower even if I hadn’t been wearing a red helmet! The Victorian phrase “Horses sweat, men perspire and ladies glow” came to mind but I felt much more like the horse! Students were also told to watch their sparring partners’ eyes. They certainly are windows to the soul and give clues as to intent, focus and approach of your opponent. We got a chance to switch partners and every interaction was different. The more advanced students offered suggestions and gave opportunities to help me understand what I needed to do without bringing all their superior skills to bear on the newbie. I was very grateful for that! 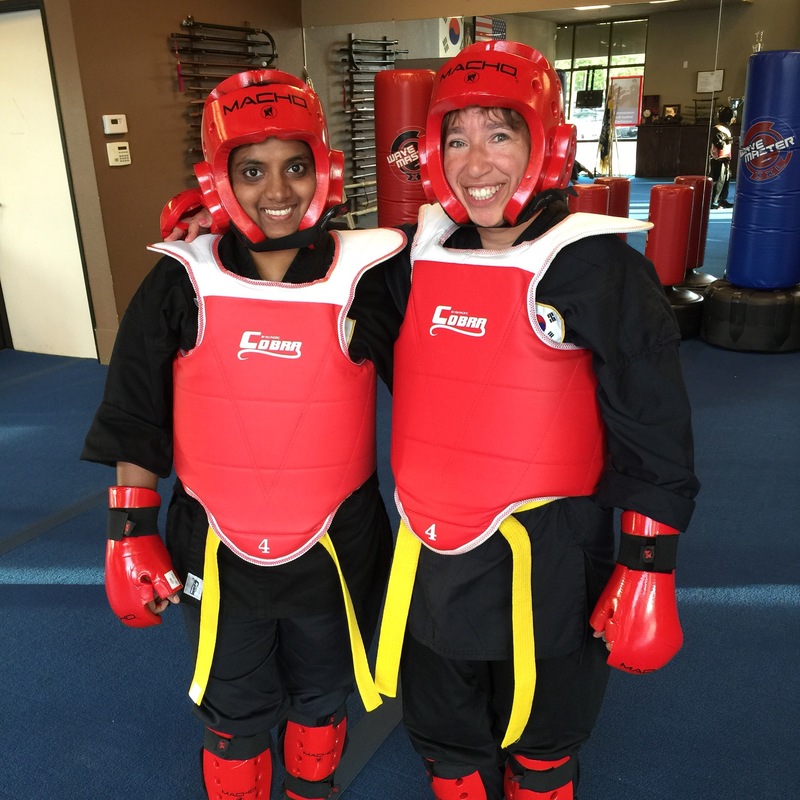 I am a conflict averse person by nature but the way I responded to sparring class surprised me – I thoroughly enjoyed it! I think I have the advantage of having had an older brother to interact with as a child, that as a teenager I au paired for a family with two little boys who loved duels and that I am raising my son who loves practicing his Kuk Sool Won techniques on me – it certainly boosts your confidence when squaring up to a stranger. Martial arts weapons look so impressive but sparring class reminded me that your hands and legs are weapons too! 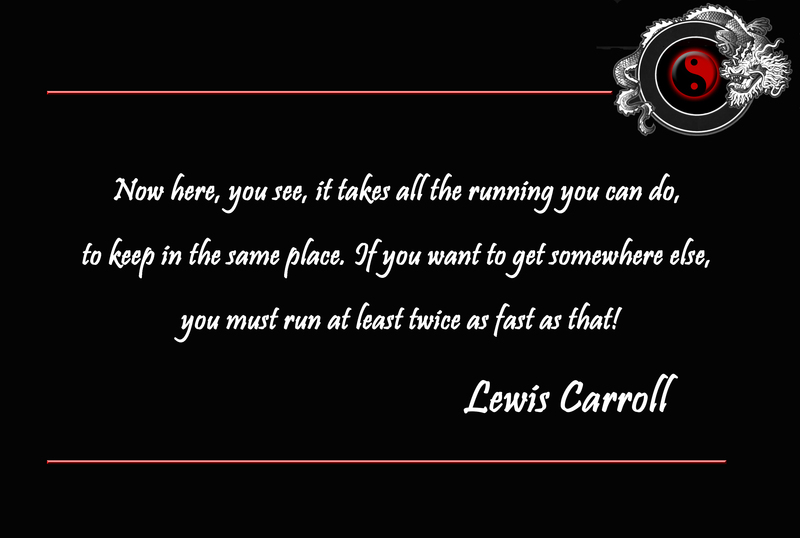 Throwing punches and kicks strategically and getting out of the way fast was exhausting but exhilarating! It’s another interesting journey of self-discovery.